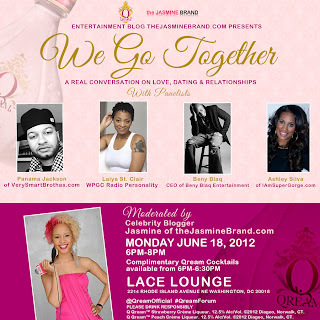 Details: On Monday, June 18th Celebrity Blogger Jasmine Brand of theJasmineBRAND.com will moderate a relationship panel titled “We Go Together”. 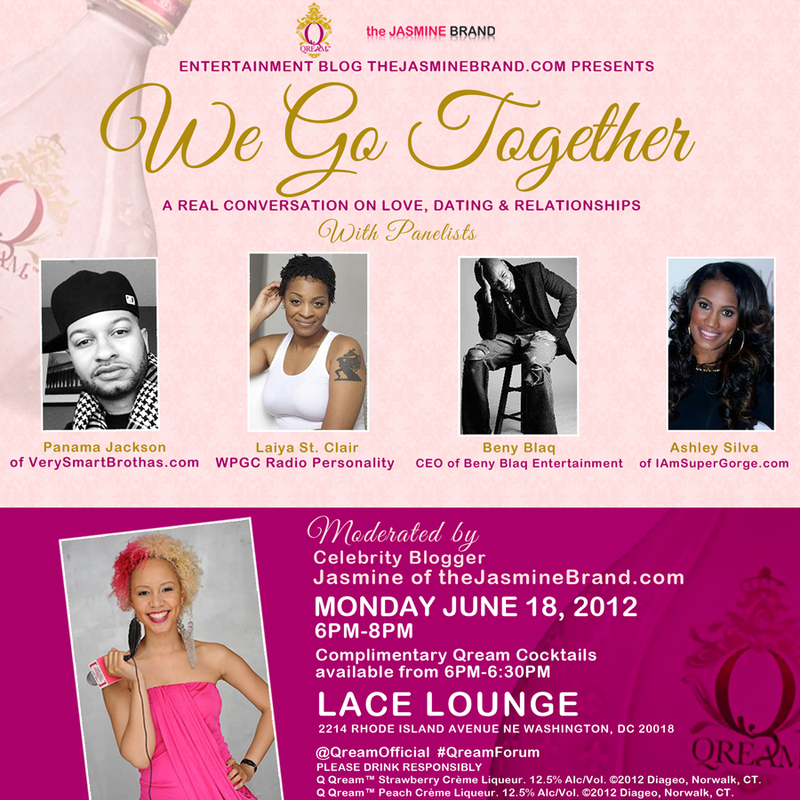 The panelists include: Panama Jackson of VerySmartBrothas.com, Laiya St. Clair, a WPGC Radio Personality, Beny Blaq, CEO of Beny Blaq Entertainment & Ashley Silva, CEO of IAmSuperGorge.com. The conversation will evolve around an updated perspective on love, dating & relationships. Everything from dating do's & dont's, to how to sustain a successful marriage will be discussed, including the role social media plays in the already strained communication between men and women. This event is sponsored by Qream Liquor, and entry is complimentary with Qream cocktails being served to the attendees between 6-6:30 pm. If interested in covering this event, please contact Candice at candice@candicenicolepr.com.